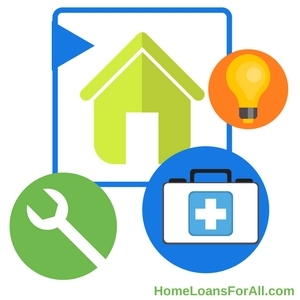 Applying for the beneficial VA home loan program comes with its own set of specific VA loan requirements and criteria for both the buyer and the seller. Both parties should be well informed about what to expect throughout the process to equip you to make better decisions. 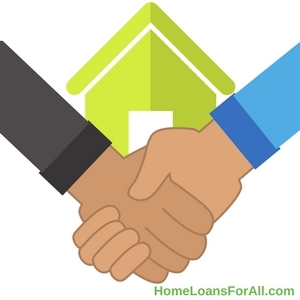 The entire process can move smoother if you anticipate what the lenders will require of you in advance. For buyers, the requirements are relatively simple. You must obtain your Certificate of Eligibility that proves you met the service requirements necessary for the Department of Veterans Affairs entitlement. 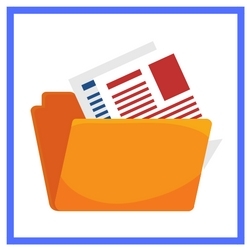 There are multiple ways to go about obtaining your COE, including allowing your lender to do the work for you, mailing away for it, or completing it through the eBenefits portal. You can find more information on how to receive your Certificate of Eligibility here. Beyond the specific criteria for a VA home loan, you will also need to meet the financing requirements set out by your lender. 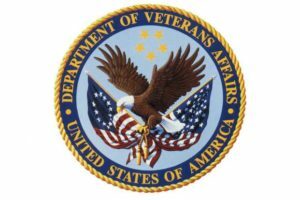 The financing is partly guaranteed and backed by the Department of Veterans Affairs, but they are not responsible for issuing the loans. You will need to find a private lender at a local bank or mortgage broker for financing. Click here to pre-qualify today! As a result, the financing requirements can vary based on the lender you select. These requirements could include a minimum credit score, certain income requirements, and a reasonable debt-to-income ratio. You must also select a property that is eligible for the loan and can pass the appraisal process. Sellers will encounter far fewer requirements with the VA loan program. In fact, they face almost none of the paperwork or red tape that buyers will occasionally encounter. They may face higher costs when it comes to selling the home to a VA buyer though. For example, the VA has certain non-allowable fees which limit which services and costs can be passed onto the buyer. This is designed to help lower the overall cost of homeownership for veterans. The processing or underwriting fee may be waived on a VA home loan or the seller will foot the bill for it. In addition, you may be responsible for paying the settlement or closing fee. Combined, these costs could add up to almost $3,000. The home must also meet certain criteria that fall under the minimum property requirements set out by the program. This will be determined through an appraisal by a third-party VA loan appraiser. As a seller, you do maintain the right to refuse an offer on your home based on their approved financing through the VA loan program. Discrimination against VA loans is illegal! You cannot simply disregard an offer simply because the buyer is a veteran, however you can negotiate a deal that is much more favorable based on the estimated costs you will face as the seller. Receiving a VA home loan means that you may be able to save thousands of dollars on your mortgage compared to traditional financing options. You may find that the process works a little differently than you would expect. The Department of Veterans Affairs backs each loan in part with a maximum eligibility of $36,000. This hefty sum often replaces the need for the traditional down payment that once provided peace of mind to the lender. Instead, the VA is offering up their own funds as security on the loan. Lenders are able to offer more favorable terms due to the security this government backing affords to them. Buyers can greatly benefit from the lender’s security in the loan. This means that lenders may be willing to take a greater risk on individuals and families who don’t meet their standard profile for conventional financing. The lender may be more apt to approve clients with a slightly lower credit score or a higher debt-to-income ratio. You will also receive a couple of major perks to financing a new home through the VA loan program. In most circumstances, buyers are not required to place a down payment on the home. This automatically becomes the source of the most significant savings for prospective home buyers. They may have previously spent years scraping together a savings account large enough to accommodate a twenty percent down payment. By waiving this massive sum, homeownership can become a reality on a much shorter timeline. Conventional financing also requires borrowers to pay private mortgage insurance (PMI) on any loan that has a down payment of less than twenty percent. This fee is waived on a VA home loan as a result of the guarantee issued by the federal government. Not paying PMI can mean a significant source of savings for you on a monthly basis. Consider that the average home in the United States costs roughly $200,000. Private mortgage insurance runs between 0.3 percent to 1.5 percent of the home’s value on an annual basis. 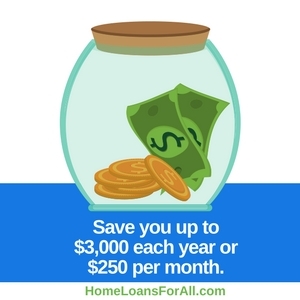 This could save you up to $3,000 each year or $250 per month. Before you start entering into the process of purchasing a home with a VA loan, you should be aware of all the buyer requirements. This is an incredibly beneficial program, but it does have certain standards that must be upheld if you would like to receive financing. The biggest requirement is that you must find a property that meets the minimum property standards. No matter which type of property you plan to purchase, they must all meet the criteria set out by a VA appraiser. These criteria are known as the minimum property standards, sometimes abbreviated as the MPS. The majority of the requirements are in place to ensure that veterans are purchasing homes that are safe and sanitary. It should be noted that an appraisal differs from a thorough property inspection. While it may catch some major issues with the property’s safety into the foreseeable future, the appraisal is only a general glimpse at the living conditions. An inspection is much more thorough with an eye for detail in many of these systems. One of the key questions regarding the buyer requirements is related to the credit score necessary for financing. The good news for many prospective applicants is that there are no minimum credit scores required to receive a VA home loan. Instead, lenders are encouraged to take a look at your entire profile before making a decision on whether to issue you a loan. The minimum credit score any particular lender will accept can vary widely. Some will have their own benchmark scores that they use for determining approvals. However, if you can find a lender that is willing to work with your credit score, the VA will still back the loan. This presents the opportunity for prospective applicants to receive financing even if they have poor credit. If you don’t qualify for one lender, don’t be afraid to apply for a VA loan at another lender. You may be surprised to receive a different answer. Many sellers are hesitant to accept offers from buyers who plan to use the VA loan financing. 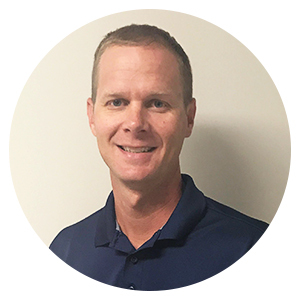 There are a lot of misconceptions regarding how the process works for financing and what the seller VA loan requirements are. Fortunately, there are very few requirements placed upon sellers who accept an offer through the VA loan program. One of the largest myths regarding the buying process is the turnaround time. They believe that the turnaround time on loans will be much longer than that of conventional financing. However, the new and more refined VA loan program is more streamlined than it was in the past. Many of the processes now are done through the online portals instead of through the much slower process of using the United States postal service. Currently, the average turnaround time on a closing is just 43 days compared to the months that many sellers anticipate. You will also want to use a great listing agent who is familiar with what the minimum property requirements will be. They should be able to advise you if the home will meet the standards that appraisers are searching for with the VA loan requirements. If your home is a massive fixer-upper, you may need to consider that the home is a better fit for the FHA 203k loan. The other major component to accepting VA financing is that you may be responsible for some of the “non-allowable fees” on the loan. The amount of money and fees that you will be charged based on the loan will be dependent on the lender. Some of the fees may be waived by the lender or passed onto you as the seller. These can include a processing or underwriting fee, as well as the escrow, settlement, or closing fee. While there are many advantages of the VA loans, there are some restrictions placed upon buyers for the type of properties and fees that are eligible. 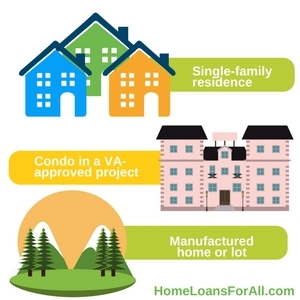 The type of properties that qualify for a VA loan is rather extensive, ranging from single-family homes to manufactured homes to condominiums in a VA-approved project. You can even purchase modular homes or build your own home. The only major restrictions are vacant land and co-ops. 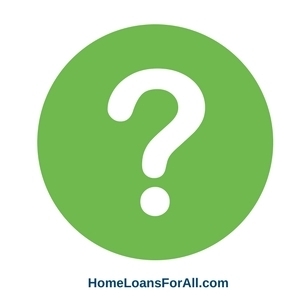 However, this doesn’t mean that every property that falls into one of these categories is going to qualify for a VA loan. It must still meet all of the minimum property requirements during the appraisal process. They will be looking for homes that provide adequate living space in a safe and sanitary environment. These can include standards such as issues with running water, electrical problems, roofing disrepair, and other key issues that could be integral to the health and safety of the property. Keep in mind that you may discover issues with the home during an inspection that are not present during the appraisal. These will not necessarily prevent you from purchasing the home, but they should be taken into consideration before you make a final decision. You will have a difficult time meeting the VA loan requirements if there are going to be title restrictions on the new property. These restrictions can include anything that would make it difficult or impossible for the new homeowner to sell the property at will. They should be able to sell the home on the real estate market whenever they desire, without the approval of a homeowner’s association or condo project approval. If your new loan comes with a “right of first refusal” or other title restriction, your financing could be in jeopardy. These restrictions must be disclosed before closing and may be evaluated during the appraisal process. When it comes to making your purchase official, there are lots of restrictions on what veterans can and cannot pay for. These closing cost restrictions apply to the overall bills associated with attorney’s fees, underwriting, escrow fees, processing, documents, and tax services. Bills that fall into these categories are considered “non-allowable” and must be handled differently. The most common method of paying these bills is to pass them onto the seller. You may include the necessity of covering these charges directly in the offer you make to the seller. This allows the seller concessions (the money they contribute to the closing costs and purchase of the home) to be included in your contract. It should be noted that a seller can only contribute up to four percent of the purchase price of the house. The money can be used to cover the closing costs or the funding fee required for a VA home loan. The real estate agent may also cover a portion of these costs in some states based on the percentage of commission they will make from the sale. In other situations, the lender can waive or reduce the overall closing costs. They may also bundle some of them into an origination fee that can be paid by the borrower. There is no minimum credit score for a VA loan. The minimum credit score for a VA home loan is set by the individual lenders who will issue the financing. The financial backing of the government encourages lenders to take a look at the entire profile of a prospective applicant instead of basing decisions on credit scores alone. If you can find a lender who is willing to work with you, the VA will still guarantee the loan. Do I qualify for a VA loan with a general discharge? Yes, you can qualify for a VA loan with a general discharge. You can qualify with anything other than dishonorable discharge. You can use the VA loan multiple times as long as the entitlement is paid back. Do You Have to Pay PMI on a VA Loan? VA loans do not require private mortgage insurance or PMI. This can mean substantial savings compared to more conventional forms of financing. How do I get a VA loan Certificate of Eligibility? You can receive a VA loan Certificate of Eligibility by applying through your lender, through the eBenefits portal, or in the mail. With online applications for the COE, you may receive a response in just seconds or minutes. You must meet the service requirements that are set out by the Department of Veterans Affairs, including the length of service and other than dishonorable discharge. You can view the full list of requirements to receive a VA loan in our article here. The benefits of obtaining a VA loan are far-reaching and have the potential to save you thousands of dollars over the course of your loan. Particularly for buyers, you can experience the advantages quickly and easily if you meet the VA loan requirements. Sellers will have few responsibilities apart from ensuring the safety and sanitation of the property. Knowing what to expect in advance can help you to make a wiser decision on the purchase of a home, as well as to anticipate the rest of the process. You can start preparing for the purchase of a new home by looking over the VA loan requirements today.